Motivated variously by the desire to reject consumerism, to live closer to the earth, to embrace voluntary simplicity, or to discover a more spiritual path, homesteaders have made the radical decision to go "back to the land," rejecting modern culture and amenities to live self-sufficiently and in harmony with nature. 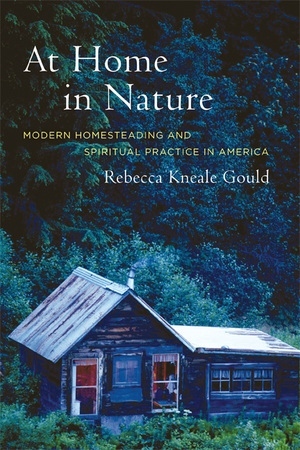 Drawing from vivid firsthand accounts as well as from rich historical material, this gracefully written study of homesteading in America from the late nineteenth century to the present examines the lives and beliefs of those who have ascribed to the homesteading philosophy, placing their experiences within the broader context of the changing meanings of nature and religion in modern American culture. Rebecca Kneale Gould investigates the lives of famous figures such as Henry David Thoreau, John Burroughs, Ralph Borsodi, Wendell Berry, and Helen and Scott Nearing, and she presents penetrating interviews with many contemporary homesteaders. She also considers homesteading as a form of dissent from consumer culture, as a departure from traditional religious life, and as a practice of environmental ethics. Rebecca Kneale Gould is Associate Professor of Religion and Affiliate in Environmental Studies at Middlebury College.